Fairview’s Camp Erin helps kids process grief. When she lost her father in 2014 at 17, Amy Jeffrey knew she needed support. Then she found Camp Erin – a chance for children who have experienced the loss of a family member or loved one to spend a weekend engaged in fun activities with others who can relate. The weekend-long camp helps kids ages 6–17 identify their feelings and talk about them as part of the healing process. The camp takes about 80 campers per session and has had a waitlist for the past few years. Repeated campers aren’t taken unless they’ve experienced another loss or if there is a last-minute cancellation. Last year became the first time a second session in September was offered, marking the 11th camp, along with the yearly June session. It’s also entirely free. Part of Fairview’s Youth Grief Services, the camp relies mostly on volunteers—there are only three staff and about 50 volunteers during each camp—and philanthropic dollars from donors to the Fairview Foundation, program director Jenny Simmonds says. The camp was named after Erin Metcalf who had liver cancer and began with her Make-A-Wish to meet Jamie Moyer, a now former pitcher for the Seattle Mariners. Moyer and his wife visited Metcalf and they struck up a great friendship, Simmonds says. Before Metcalf died at age 17, she was concerned that her siblings didn’t have a place to process their grief. So, the Moyers made a commitment to start a camp for exactly that in every state in the country that has a major league baseball team. At the camp, talking to peers who understand helps to normalize kids’ feelings. “I think for a lot of the kids, it’s hard for them to share with their parent how they’re feeling because they know their parent is sad, too,” Simmonds says. For example, she says, when a kid tells their mom they miss playing ball with dad and mom feels sad for that, she may start crying. “But from the kid’s perspective, they just made mom cry and that’s a really uncomfortable feeling and they feel bad about that, so they won’t want to talk to mom about it,” she explains. Throughout the weekend, campers engage in meaningful activities whether it’s directly related to their loss or simply for fun. They have sharing circles and craft a memory board, which involves making a frame with a photo of their loved one in it and placing it on a board. 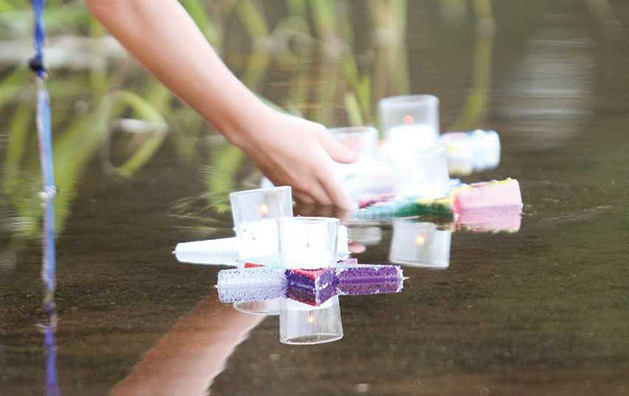 A luminary ceremony takes place one night that involves each camper painting Styrofoam stars, placing a candle in it and launching it off onto the water in memory of their loved one. Other activities including yoga, fishing and singing campfire songs which all adds to the traditional camp atmosphere. “When you go to a regular school and you’re with regular peers, most of them have no idea what to say or what to do,” Annique London says, whose two out of three daughters attended the camp last fall. She lives a few blocks outside of Edina and lost her husband to cancer last May. “That just goes away when you’re in the environment with other kids who have gone through something similar,” she says. If your family or a family you know has been impacted by loss, Camp Erin’s summer session will take place the weekend of June 28–30 at One Heartland. 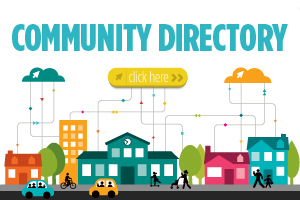 Applications can be completed by clicking here.